I’m sure you – like me – were appalled on reading whisky ‘expert’ Jim Murphy’s verdict that some upstart Japanese single malt is now, officially, the world’s finest single malt whisky. The idea that such a thing could ever originate from outwith the shores of Scotland is, like time-travel and invisibility cloaks, scientifically impossible. Possibly even more appalling was the degree of presumption displayed by the Japanese distillers, Yamazaki, in labelling their potion ‘whisky.’ As all right-thinking people know, if it isn’t distilled among the bonny banks and braes of God’s Own Country then it’s bloody well ‘whiskey’ thank you very much. And I don’t give a tinker’s cuss what Wikipedia says to the contrary. Apart from anything else, how can you take seriously something purporting to be single malt yet calling itself Yamazaki? It sounds like it should come with a 500cc engine and handlebars. Sadly, while discussing with friends on Facebook this ridiculous and nonsensical development, it became apparent that genuine appreciation of the sacred uisge beatha is hampered by reverse snobbery, unsophisticated palettes and unforgivable ignorance. Here then, is a simply entry-level guide to the noble art of whisky and the etiquette required for its correct consumption and, thus, enjoyment. 1. Scotland has four whisky regions (five, really, to true connoisseurs). Each with its own distinctive and highly individual character. They are the Islands; comprising Islay and Skye (although Islay should be considered the fifth region in its own right; such is the glory and towering majesty of its offerings), Highland, Speyside and Lowland. 2. Broadly speaking, whiskys from each region, while varying greatly from each other, will share strong core characteristics. Thus we can say Island malts are maritime and peaty. 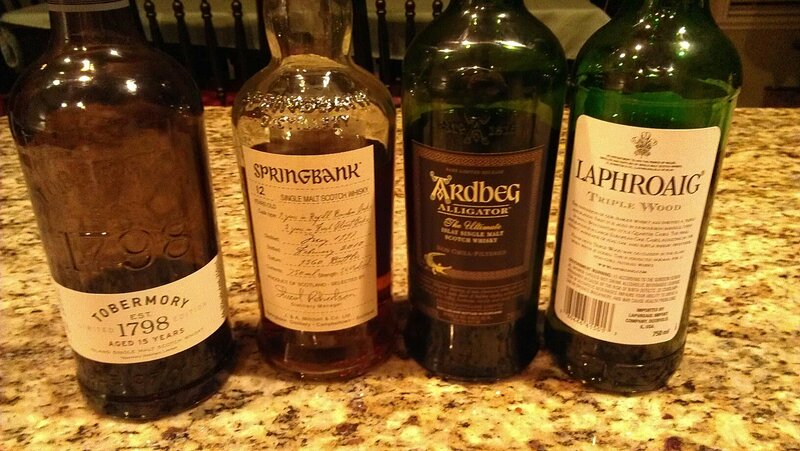 Highlands are smooth and floral, Speysides are sweet and delicate and Lowlands are light and fresh. 3. Of course that’s the general consensus. In reality, Islay single malts are the finest drinks ever created in the history of humanity. Laphroaig is the most complex and richly-favoured of them all. It is the undisputed King of single malts. Any who hold otherwise will be people of flexible morality, dubious virtue and questionable integrity. Ignore them. 4. Similarly, while Speyside produces the inarguably impressive The Glenlivet (it should always have ‘The’ to give it both its correct appellation and the respect it deserves) its produce tends toward the bland and sickly. The wearily ubiquitous Glenmorangie, for example, is commercialised nonsense. Adequate for grandmothers and the English but unfit to be taken in the company of men. 5. Ice in single malt whisky is not a matter of personal taste. It is wrong. Always. Its extreme temperature wrecks the balance of the whisky and chemically alters its taste. It numbs the palette, too, leading to an inability to actually taste, in all its complex magnificence, that which the Great Architect has seen fit to gift us. Single malt whisky should always be kept and taken at room temperature. Don’t be a peasant. Leave the ice in the freezer. 6. Water. Nowhere is there greater ignorance and reverse snobbery than on the question of water with one’s whisky. In many cases water can actually unlock the bouquet and release hitherto unknown wonders. As a very crude general rule, the higher ABV% of the whisky should dictate the ratio of water to whisky. I once had a superb Cadenhead’s bottling of a 12 year old Bowmore that clocked in at an eye-watering 74% ABV. Drinking it without water would have been utterly stupid and entirely pointless. Such high alcohol content serves only to numb and freeze the taste buds and palette and all that you will taste or smell will be the alcohol. A note of caution: water taken with single malt whisky should be of the lowest possible mineral content. Water with a high mineral content will act in much the same way as ice; it will ruin the balance and, again, chemically alter the whisky’s taste. 7. Our Celtic brothers and sisters from the Emerald Isle try their best, bless ’em, but that non-peaty, triple-distilled-to-within-an-inch-of-its-life juice they peddle is but a sorry apology for the mighty kings and queens of Alba. If you must drink whiskey then their blends are actually better. Jameson’s being particularly fine. 8. Another fallacy; the older a whisky is does not automatically mean it will be better. Some single malts mature very early. The Bowmore Legend, for example, carrying no age statement but widely understood to be only eight-years old, is a particularly apposite case here. The same point in reverse, I once had a 31 year-old Black Bowmore. It was, literally, black. As a result of stewing in oloroso sherry casks for three decades. I bought it for £175.00 and sold it a year or two later for £1050.00. It currently retails for circa £7,500.00 per bottle (yes, you read that correctly). Its rarity value is what commands such a price tag; not the quality of the whisky. Those who’ve tasted it tell me it’s virtually undrinkable. 9. There is such a thing as truly bad whisky. But remember; no whisky is even worse. Always. 10. Finally, few have so adequately captured the compelling power and eternal mystery of single malt whisky as the late great Campbell Armstrong. He deserves the last word here. Harry, Ihave to confess that I enjoyed a glass of The Singleton with ice last Christmas. Normally I add an equal measure of warm water. Does this make me a man of dubious virtue? I can’t drink any spirit neat. Entertaining article. I particularly love point #3! Although spare a though for us ex-convicts down here in Tassie making some superb drams! How nice to hear from you, brother Ross 🙂 A kind offer, thank you, but – an absence of the required funds notwithstanding – I wouldnae gie ye twa bob for the Macallan. ‘The Rolls Royce of Single Malts’ my arse; a sticky sickly-sweet confection which might well make a superb base for tablet but for drinking? Yuch!